I guess it should remove it then? The 7th item (Datación de matrículas. Sistema actual y anteriores // Tables for plate dating for current and previous numbering system) is certainly the most interesting for us. Has anyone managed to use the australian site for New South Wales recently ? With Firefox, it looks like a mess, with bits probably missing, like a button to click on and start the search. Odd, displaying fine here on Firefox. Really ? I tried again, filled the plate info, then ENTER on my keyboard, since there's no "Send" button on the page. Here's what I got as a result, with a similar display style. Please try again or call the Contact Centre on 13 22 13 for further assistance. This is what I get on the first page. Most odd, as I am on Firefox too. Maybe it's to do with the version? I'm using 42.0 on Windows 10. Maybe you should try another profile (en, fr) to see what happens in a "naked" browser? I have the same "first lines cut in the middle" thing too. And this is what the NSW site looks like on my computers (both WinXP & Win7). 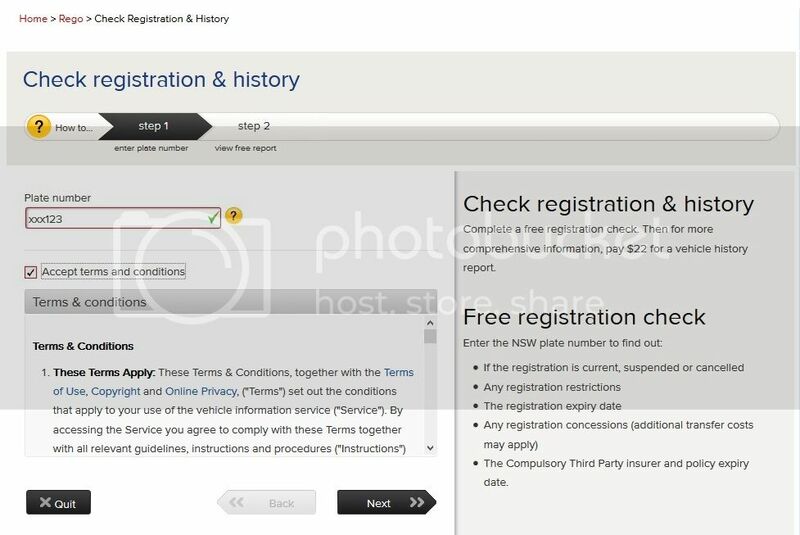 I confirm the add-on/extension issue: the NSW site looks like Sandie's view on my "Anonymous" profile with just privacy add-ons enabled, but like Exiv96's screenshot on my usual profile (which has a lot more add-ons, including web-developing tools). I use GNU/Linux (Linux Mint LMDE, to be precise), so I don't think it's related to the operating system. @ Exiv96 and antp: What kind of add-ons do you have? A bunch, but I don't really see which one could cause that. The only one of those I have is Adblock Plus so I can't help narrow it down too much. I don't use Adblock, due to its built-in list of "acceptable ads" (made of advertisers who paid for being white-listed...), but different forks depending on the profile used, so the bug is unlikely related to this add-on. All the more as I tried with and without these ad blockers, without any change. I see in your list 3 or 4 add-ons I also use, antp, I'll make some tests. For the record, I already tested it: French language pack is not liable (I know that Australia and New Zealand have bad memories of French people due to the nuclear testings in the French Polynesia and to the Rainbow Warrior affair, so it could have been a very long-term revenge ). By the way, shouldn't these posts be moved to a different thread ("Bug in the New South Wales plate tool when using Firefox"? ), to keep this thread consistent? Adblock <> Adblock Plus, despite the similar name they are two different programs from different companies. Though that I do not endorse using these with automatic lists; as I said I only block ads that annoy me. I have a request for anyone who can see the NSW site correctly. 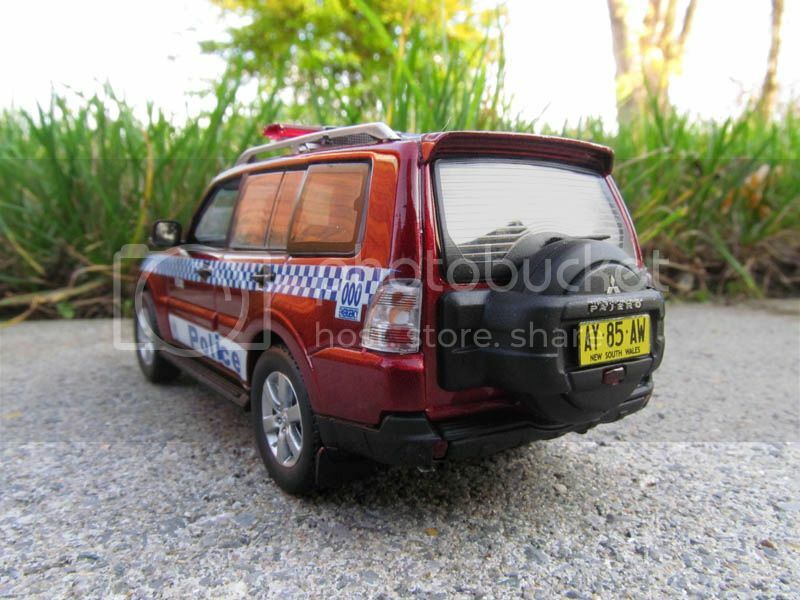 Could you run the plate of this 1/43 Mitsubishi Pajero ? It's modelled after a real police vehicle, apparently, and I'd like to narrow down its year. Anyone ? It's just to check on one plate. I've retried with Firefox, IE and Chrome, and still the same result, or lack of result.